Underwater model photography is also referred to as underwater studio photography or underwater pool photography. Basically, underwater model photography refers to underwater photography conducted in a controlled environment (such as a pool) with designated underwater models. 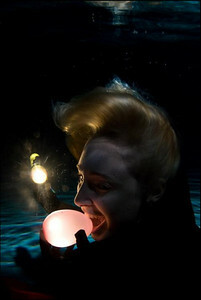 A controlled environment facilitates the use of advanced lighting techniques such as underwater umbrellas and off-camera strobes. 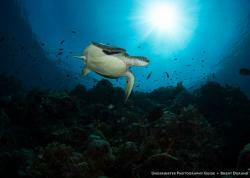 Furthermore, the use of a controlled environment enables the underwater photographer to manipulate the shoot by adding in his or her own creative element. Here I will discuss a few elements that an underwater model photographer can use to get the most out of their underwater pool shoot. All photos are copyrighted by Cal Mero. Arguably the single most important feature to a successful shoot will be the model. No matter how good the lighting, concept or creativity applied to a shoot, if the model isn’t comfortable in the water your unlikely to get quality results. The most important feature of a successful underwater model will be their eyes. If the model has difficulty opening their eyes underwater then most (if not all) of the shots will have the model squinting, which dampens the overall quality of an image. An additional factor too look out for is models who are noticeable holding their breath. This may not be apparent during the shoot but it will defiantly be noticeable in post production. Finally, depending on your concept or idea, a smile can add a great element to a photo. Smiles generally draw the eye in to the model and if they’re well lit, they can make an average photo into a great photo. 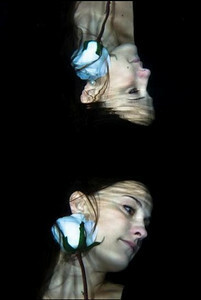 It may take the model some practice, but try to encourage the expression of emotion when modeling underwater. The use of clothing can also add a colour element to a shoot. Bright vivid clothing or darks/whites add a distinctive compositional element. An easy way to create a strong image is to contrast the clothing colour with the background. For example, a strong red dress against a black background creates great contrast. A single strobe held out wide from the model and pointing in can cause strong directional lighting. Don’t be afraid to use the ambient light in a pool at night. Often pools have their own mood lighting, which can look great if used correctly. 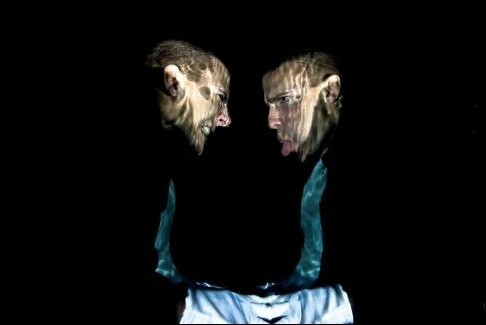 Reflections are an easy way to create unusual and stunning imagery. The best part about composing an image underwater is taking advantage of buoyancy. Some great shots can be made by getting an underwater model or object to appear weightless. Try getting your model to free fall or glide down beneath the surface. 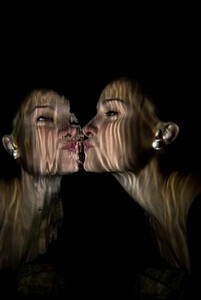 These gestures combined with streamers or clothes can make for some stunning results. Above all, underwater studio/pool photography opens up a new playing field of creativity to the underwater photographer. All the tricks you learn in the pool can be directly applied to your next wildlife shoot. 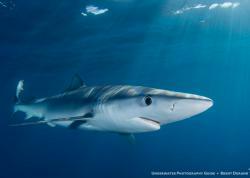 Read our tutorial on Dive Model Photography in the Ocean. Submitted by Anonymous (not verified) on Thu, 2010-11-04 19:43. Submitted by Karen (not verified) on Tue, 2009-05-19 10:30. This is great and so timely for me! I have just had some pool/model shots brewing in my head NEEDING to be taken! 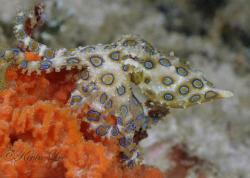 Submitted by Swiss Fresh Water Diver (Michel Lonfat) (not verified) on Mon, 2009-05-18 22:12. Submitted by Jeffrey de Guzman (not verified) on Mon, 2009-05-18 15:37.